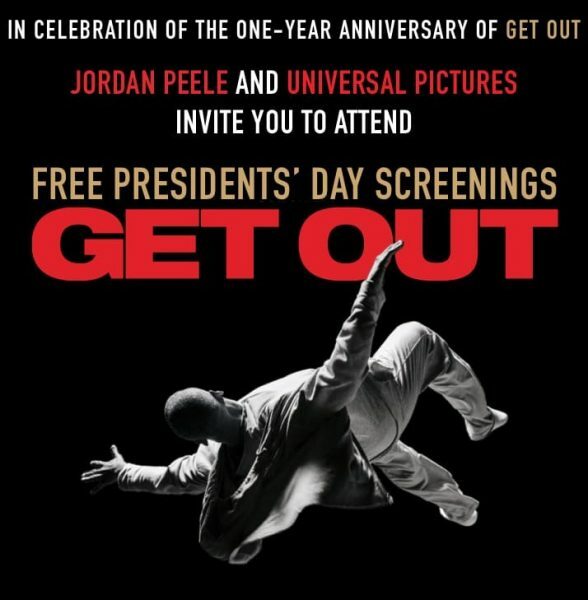 The Oscar nominated horror film Get Out is celebrating it’s one year release by offering a free screening this Presidents Day, February 19. Tickets to the shows are on a first come, first severed basis and can be picked up at the box office the morning of the show. DFW Living on the Cheap highly encourages you to get there when the box office opens to ensure you get tickets AND to get to the theater early that evening. The show starts at 7 pm at either theater.